Parties & functions according to clients needs. Our shows are Fun, Educational and Interactive. Stage shows are presented by marionette puppets with scenery, lighting, props and animated backdrops according to the theme of the show. A set-up time of half an hour is required and the shows are approximately 40-50 minutes long, suitable for indoor venues only. The Party Ventriloquist Puppet Shows can be performed basically anywhere, however, a quiet environment is requested. 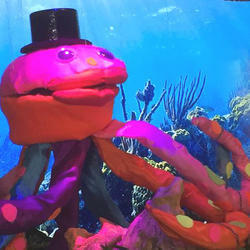 Educational Marionette Puppet Shows for schools both pre-primary and primary school. Leo the Ventriloquist Lion interacts with the children and reinforces the theme, Offering over 20 different themes. Thank you Debbie for spoiling my son and his classmates yesterday at his school. The show was both fun and interactive. 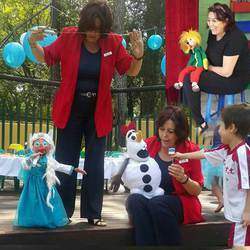 Debbie knows how to get her audience excited.. the preschoolers really enjoyed it. 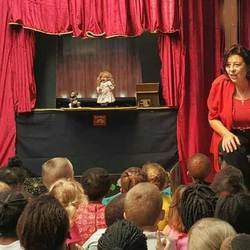 Leo's puppet theatre came to my sons school and all the children loved every minute of the show. Debbie was lovely and well organized, the children adored Leo, the show itself was very engaging and interactive, Debbie got the children to get up and dance and do some animal moves to go with the show. I thought the younger children would get bored but every child in the room was absolutely transfixed. Well done Debbie and team!